The discounted price is only for in stock items. For out of stock sizes, price will be charged in full. Please call us to place order. Made to measure is available for this dress. 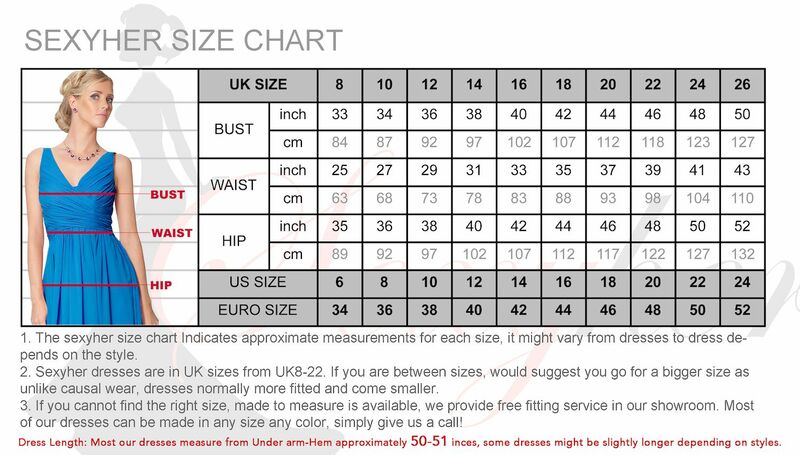 You can either go for option ‘order standard size’ or ‘made to measure'. Hidden zipper closure at the back. The length of the gown is about 51'' (from the under arm to the bottom). This dress is suitable as an evening & ball gown, bridesmaid dress or mother of the bride dress. Comments : Nice dress love it! Comment : Nice dress love it!